The O.J. Simpson murder trial — or the "Trial of the Century" — captivated the country for nearly a year (and still does), and much of played out on live TV. As of Tuesday, it's back on television in the form of a FX drama The People v. O.J. Simpson: American Crime Story. Like many, maybe when you think back on the case and trial, you focus on whether or not O.J. did it. But perhaps you could use a reminder about the victims of the brutal 1994 murders, Nicole Brown Simpson and Ronald Goldman, and how they knew each other. The pair had grown increasingly close before they were stabbed together outside Nicole's home in Brentwood, but those who knew them claimed they were just friends. In a Los Angeles Times article from June 1994, 25-year-old Ronald Goldman's life is described as "a non-stop merry-go-round," busy waiting tables, dancing at nightclubs, and working continuously on his physique, lifting weights and playing tennis. He was good-looking and had a magnetic personality, friends said. He and Nicole, O.J. 's ex-wife, 35, exercised together, met for coffee or dinner, and went out dancing. He told others that they were just friends, but he did brag about her good looks and the attention they would get arriving at a club in her Ferrari. "He definitely would have told me if he was seeing O.J. Simpson's ex-wife," Mike Pincus, a friend from kindergarten told the paper. "That's just the kind of guy Ron was. Whenever he was dating someone, we all knew about it." Police sources also told the paper that they did not believe the two were romantically involved, and their friendship probably did not contribute to their death. 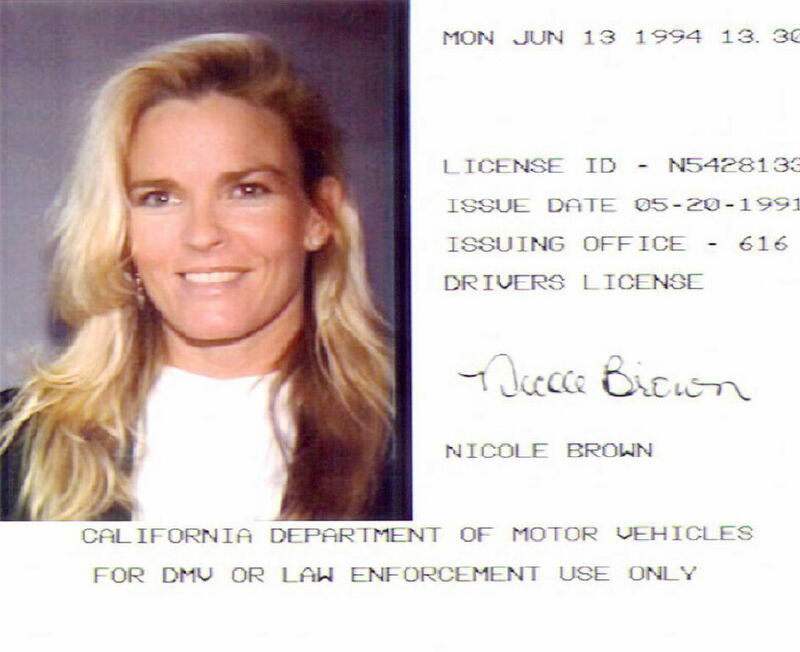 The night of the murders, Nicole and her family had eaten dinner at the L.A. restaurant where Goldman worked. Her mother had left her glasses, and after his shift, he went to Nicole's home to return them. The two were found dead outside her Brentwood townhouse by a passerby around midnight. Nicole's two children were asleep inside at the time of the killings. The wounds to Nicole were described to the jury at the trial. She had cuts to her neck that reached the spinal cord. Goldman's wounds were also terrible: He suffered four fatal wounds, two to the chest, one to the abdomen, and another to the neck. He also was poked in the face with the knife — perhaps a check by the assailant to see if he was still alive. Simpson, was of course, tried for their murders, and after a long and grueling trial, he was found not guilty. The verdict was watched by about half the country (and even now more than half the country thinks he did it). In 1997, O.J. was tried in a civil case for the murders and was forced to pay the families a total of $33.5 million. The Ryan Murphy-produced drama, which premiered Tuesday, has drawn rave reviews from fans online and production of a second season of the anthology series is expected in Fall 2016. If you missed Tuesday's episode, you can catch it on FX's streaming service, FXNOW. A cable subscription is required.